ST. JOHN'S, N.L. 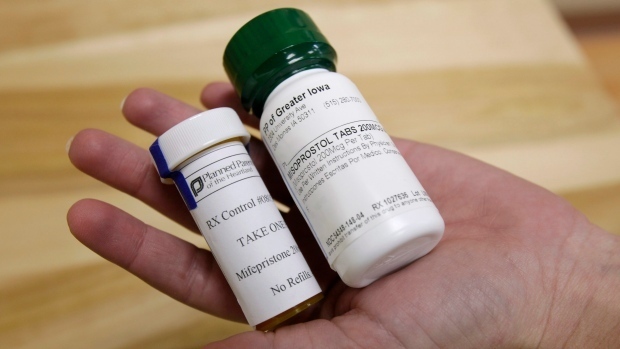 -- The Newfoundland and Labrador government says it will cover the abortion pill as of Sept. 1, putting it in line with six other Canadian provinces that already provide the medication free-of-charge. The province announced in a statement Wednesday that it will provide universal coverage for Mifegymiso, an alternative to surgically induced abortions, to residents holding a valid health card. "Individuals in this province are entitled to abortion, which is a legal, medical service," said John Haggie, Minister of Health and Community Services, in a news release. "Universally covering the cost of this alternative to surgical abortion will ensure people continue to have safe and unimpeded access to this health service." The two-drug combination terminates pregnancies of up to nine weeks and will have to be prescribed by a health-care professional. As well, the release said an ultrasound will have to be performed, in order to confirm the gestation period, before Mifegymiso is prescribed. 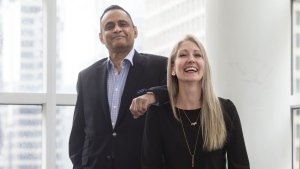 The announcement came as welcome news to Frederique Chabot, director of health promotion with Action Canada for Sexual Health and Rights, a national organization aiming to advance sexual and reproductive rights in Canada. "To continue to see provinces taking leadership and addressing historical gaps in access for their residents is absolutely great news," said Chabot in a phone interview from Ottawa. She said since the drug was rolled out in 2017, British Columbia, Alberta, Ontario, Quebec, Nova Scotia and New Brunswick have already committed to universal coverage for Mifegymiso for their residents. Up until Wednesday's announcement, Newfoundland and Labrador was the only province that did not at least provide partial coverage of the pill. Although abortion in Canada was decriminalized decades ago, Chabot said access to services have been distributed unevenly across the country, with some rural communities -- like much of Newfoundland and Labrador -- left behind. "So in Toronto, you'll have access to state-of-the-art care, you'll have access to multiple options, to clinics, to hospital care," she said. "But in rural or remote areas anywhere in the country, access is very poor and absent." She said people in areas where abortion services are inaccessible may have to pay out of pocket to travel to places where they can get the services they need, taking them away from their communities and support systems. "Depending on your postal code or what's in your bank account, you either had access to health care or you didn't," said Chabot. Chabot said Mifegymiso is as safe as a surgical abortion and is the World Health Organization's gold standard for medical abortion, so access to the pill helps fill some of the gaps left by spotty access to abortion in rural communities. The announcement came two months after medical students and practitioners in the province wrote an open letter to the premier and Health Department asking for universal Mifegymiso coverage, as well as supportive resources for physicians prescribing the drug. In a release, students who worked on the letter applauded the announcement. "Removing the cost barrier to medical abortion in primary care will ensure that persons living in rural and remote communities throughout Newfoundland and Labrador have more equitable access to an essential medical service," said Maggie O'Dea and Chris Vizena of the Memorial University Medical Students' Society. "This announcement represents a true advancement of reproductive rights to which we are proud to have contributed." Prince Edward Island is now the only Atlantic Canadian province without universal Mifegymiso coverage, although the drug is covered under both the UPEI and Holland College student health-care plans.